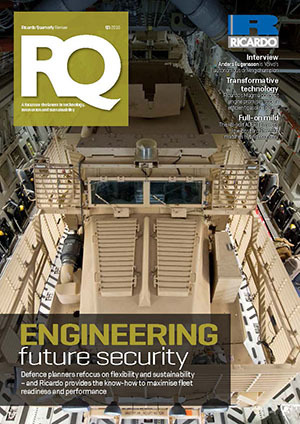 Engineering future security: The US, British and NATO military now need flexibility and sustainability for their vehicle fleets rather than narrow combat roles. 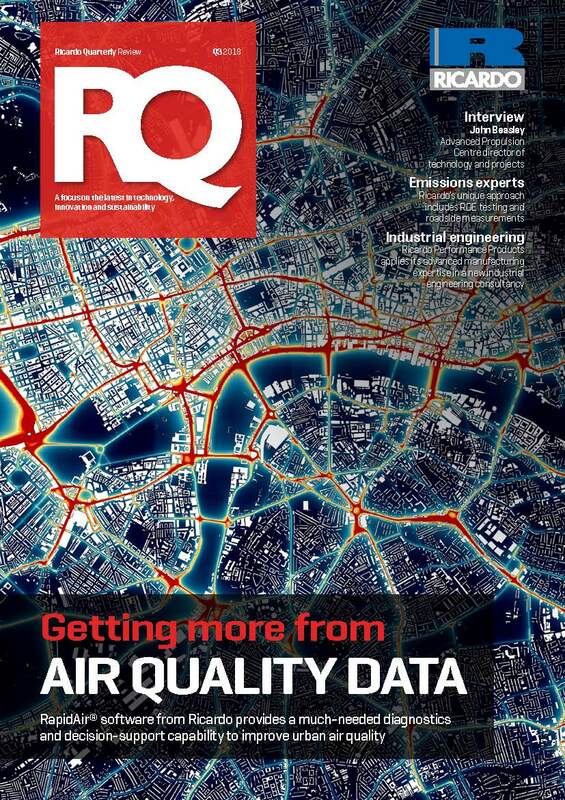 We explore how Ricardo is helpingdefence planners shape their vehicles for the future. Full-on mild hybrid: Ricardo is leading the 48-Volt ADEPT project to show how intelligent electrification can deliver fuel and CO2 savings equivalent to full-hybrid capability. The ADEPT concept’s low-cost mild hybrid architecture is adaptable for diesel, gasoline or alternative powertrains, too. Transformative Technology: Ricardo’s Magma concept engine blends production-ready components with ingenious engineering for super-efficient gasoline power. Interview: Anders Eugensson, Volvo director of government affairs, describes how autonomous cars feature at the centre of Volvo’s strategic safety programme, and how the Volvo approach differsfrom those of its competitors. 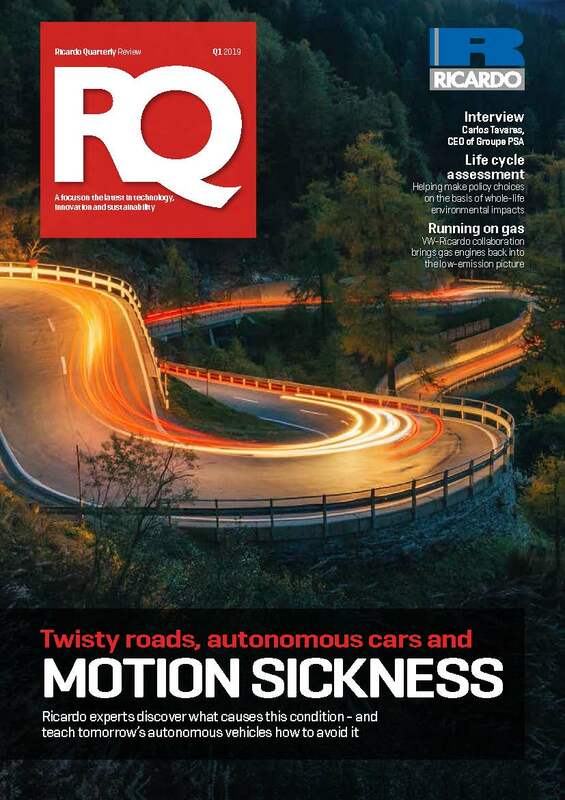 RQ viewpoint: Dr Robert Hentschel, MD of Ricardo Deutschland discusses the big changes taking place in creating the new Ricardo Motorcycle business. Read online. 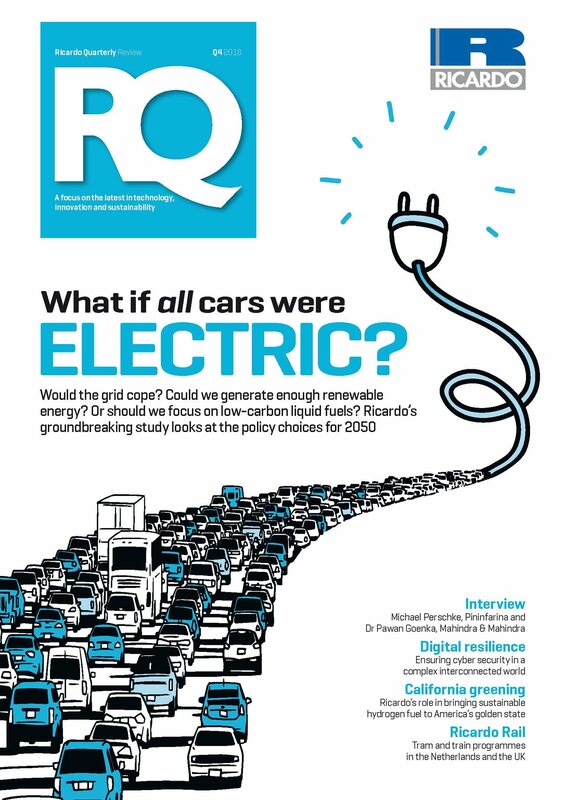 Ricardo news: Clean fuel from plastic waste; solar power in India; Ricardo and the FTSE4Good index; two Ricardo engineers among Autocar’s ‘Most Influential British Women’.